Kazgeology JSC opened the season of field works, which traditionally begins after the Geologist Day. 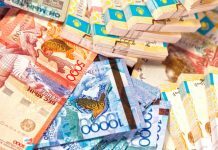 Drilling operations were started in April of the current year on Ushokinskiy area of Karagandinskaya area, where geological prospecting works were performed in 2018. Topographic-surveying works, reconnoitering and revision prospecting traverses, and also airborne geophysical operations, using ZTEM method, were performed at the area, according to which in the result of detailed explorations and complex analysis of geophysical information with historical data 7 prospecting sites, recommended for assessment of mineralization were allocated. The most interesting areas are Zharsay and Koyus. Gold ore mineralization at Koyus is related to secondary quartzites of quartz-sericitic and monoquartzite composition, developed by acid volcanites of upper sub-stratum of volcanogenic stratum of Late Devonian age. 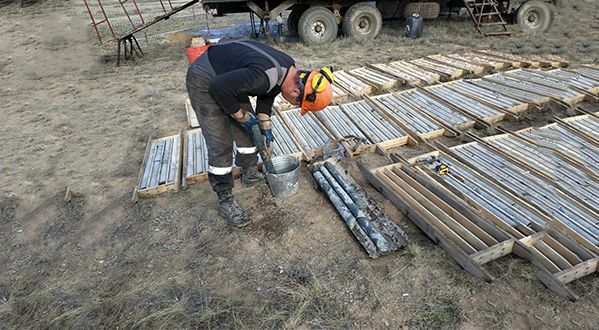 Gold ore mineralization at Zharsay was established in monzodiorite porphyries of Late Devonian kokkuduktyubinsk complex and related to silicification zones with length from 250 to 650 m, with capacity up to 250 m.
Holes with depth from 200 to 600 m will be drilled for delineation and assessment of mapped anomalies. Drilling of 16 holes with total capacity 5000 p.m is planned in 2019 year. Drilling of 2 holes is completed nowadays.